I love cookbooks. They tend to be my treat to myself when I have a payday! (I’m serious – most of my friends go out drinking – I buy a baking pan and some cookbooks.) So I wanted to pass on a bit of what I’m coveting this month! 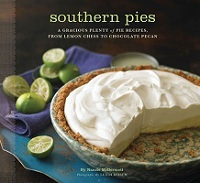 Nancie McDermott’s Southern Pies: Pie is something I’ve been a bit nervous about trying, despite the fact that I’ve had my eye on trying the Grasshopper Pie for awhile. But this has an amazing selection, from a Sweet Potato Pie to Pecan. It’s a lot of the pies I ate growing up at Southern Thanksgivings and I think this book would help me to push my own horizons with pastry. 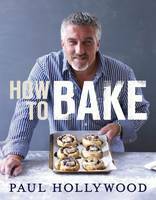 Paul Hollywood’s How to Bake: I’m a big fan of the Great British Bake Off, but the one thing I think I’d struggle with if I was on the show would be bread week! As a result, I really want to try a book which is primarily dedicated to bread baking, and after having seen some of his recipes, I think it would be a fairly comprehensive introduction to a lot of assorted breads. 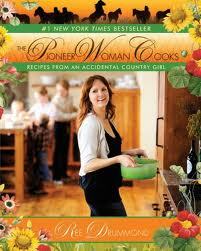 Ree Drummond’s Pioneer Woman Cooks: Beardy Boyfriend is pretty much a die-hard carnivore. The few nights I try to make something with only veggies, I get a lot of complaints! Her recipes are very man friendly and just have a lot of hearty options for mains. I’m hoping it will give me more options for the end of the week, when all the meals I’ve pre-prepared or planned have run out and I’m clueless as to what else to make for dinner! 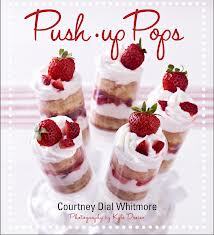 Courtney Dials’ Push Up Pops: I love the idea of making this childhood treat into pops for a special party occasion. I tend to be less of fancy baker (I worry far more about taste than I do about decoration!) but these are little treats which can really make a formal occasion. Paul A. Young’s Adventures with Chocolate: I’ve wanted this since seeing it on the chocolate tour (details to be posted soon!) I like that it doesn’t just have chocolates (although it does and they look amazing!) but also savoury dishes with chocolate. I really like the idea of cooking with some cocoa and I particularly like the idea of the peppermint and absinthe truffles! 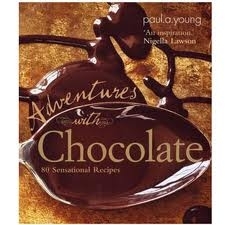 This is definitely a step up in gourmet from the other books, however, but I would love to give it a go! This bundt pan from Nordicware, which I think would be absolutely lovely for Beardy Boyfriend Weekly Bakes around Christmas-time, these popsicle moulds that I could use to make some delicious homemade fudgesicles and this whoopie pie pan, which I could use not only for delicious whoopie pies, but also for making cute oatmeal raisin cookies. Finally, cakesicle pans. I badly want to cover these in chocolate and sprinkles, and am already thinking about how I can do them with a Halloween theme! So that’s what I’m dreaming about this month! How about you?